This immaculate 19th century cottage is located in the heart of the picturesque and historic village of Warkworth, just a minutes walk to the good range of pubs, cafes, gift shops and galleries and centrally placed for touring Northumberland and the North East of England. Located right on the riverbank with river views from the lounge, bedroom and bathroom, an abundance of wildlife can be watched from the cottage or from a seat on the riverbank outside, such as seals, herons, foxes, swans and ducks, salmon leaping, terns and swallows. Many of our guests take a bottle of wine and 2 glasses and sit on the riverbank on balmy summer evenings. Beautifully furnished and extremely comfortable with great attention to detail, including art by local and international artists, Lane End cottage is very well equipped with everything you could need for the perfect holiday. 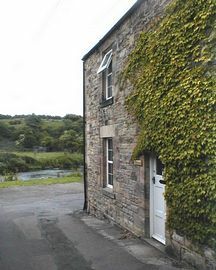 Located right on the riverbank with beautiful views and local wildlife to watch. Close to historic Warkworth Castle and within 2 mins walk of all local amenities. 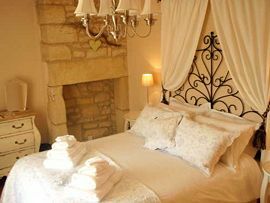 Full bed linen (duvet), t-towels and 3 fluffy white towels per guest provided. 1 very well behaved pet welcome. Local Services: Several shops, pubs, restaurants, galleries and cafes all within 100yds. Golf course 1.5 miles, beach 1 mile, Alnwick Garden 8 miles. Please see our website for maps and written directions. From £440.00 to £700.00 per week. Short breaks of 3 or 4 nights from £320.00, available all year round except Christmas and New Year. Visit England 5 Star GOLD Award "Cyclists Welcome" Award. "Walkers Welcome" Award. "Pets Welcome" Award.